Incredible Dads Deserve Awesome Presents! Home » Incredible Dads Deserve Awesome Presents! June is the month of dads. 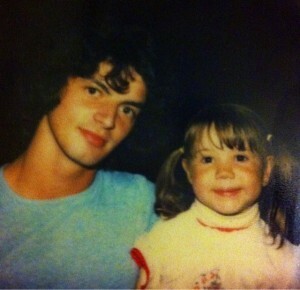 As many are celebrating the incredible men in their life, I would like to honor my dad because he’s awesome. Growing up he taught me how to play sports, how to ride my bike and was my roller coaster companion. He was my biggest fan when I was in school and made sure I sold the most chocolate bars every year – an accolade that won me my ten speed bike when I was in grade 5! He always fixed my car when it was broken and even sent a tire repair truck to get me when I blew a tire on the 410 highway in Toronto. When I moved out on my own, he was the fixer of everything, builder of new stuff and even tackled my backyard when I didn’t mow it for a couple months. He built my deck, finished my basement and helped my husband re-model our master bathroom. And when I mentioned that I wanted a new island for my kitchen he spend months in the shop designing, building and perfecting a beautiful cabinet that is the center piece of my kitchen. I’m 38 and married and he still doesn’t show up to my house without tools. In fact last year when we needed to get the winter cover on our new pool he spent the whole day outside with my husband in the freezing cold. But that’s what he does for his kids and that is what makes him the best! 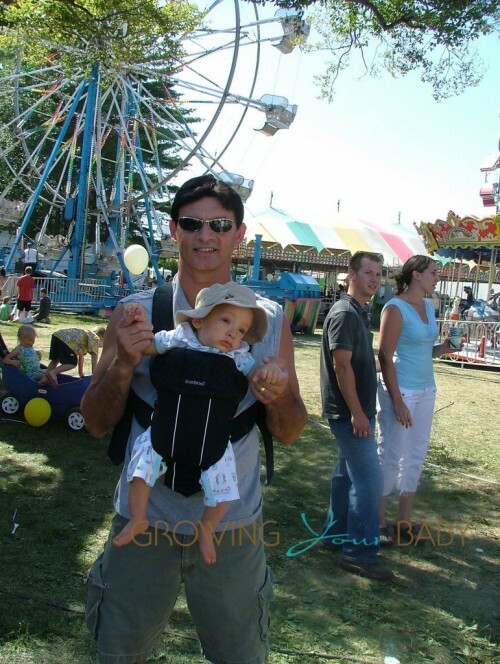 He is also a baby wearer, which my kids love – because they think he’s great too! Incredible dads deserve awesome presents so if you are looking for something for your dad or someone special Sears.ca is having their Great Canadian Sale. Everything from women’s apparel to toys, major appliances to tools is marked down this weekend(both online and in stores)! Sears Introduces The Newborn Nesting Event! Summertime Is All About Having Fun in The Sun! Aunt Joyce and I think these were beautiful words for your dad. Awesome honey we luv you.